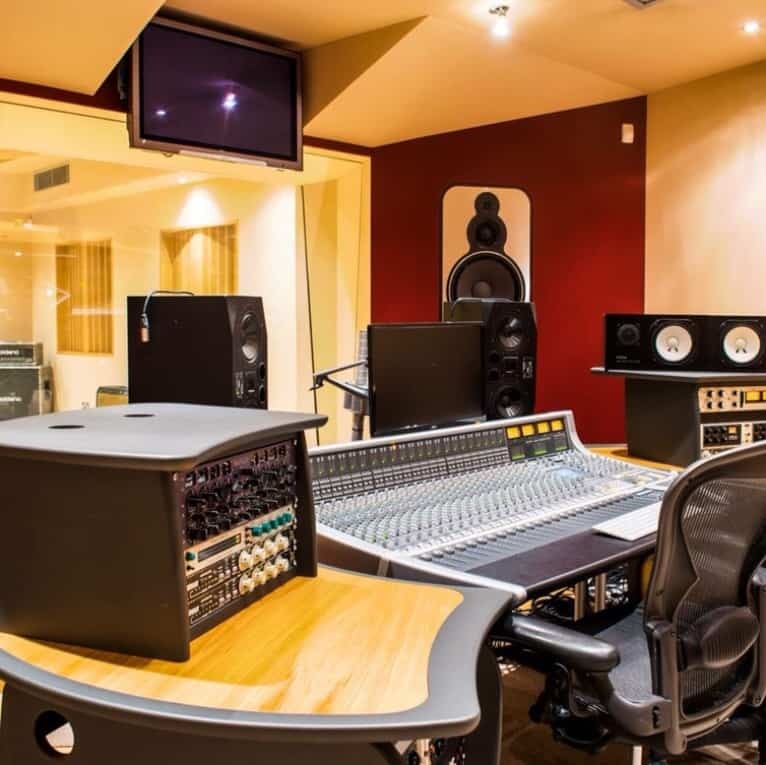 Our studio has been designed to the highest specification by world-renowned designers, with studio hardware from the leading names in the industry such as Solid State Logic, Crane Song & Brauner. The live room (approx. 460sq ft) has a beautiful real oak floor which gives the space a great live sound. Both the control room (approx. 288 sq ft) and live room are acoustically engineered with fully floated concrete floors on rubber mounts which are three layers thick. 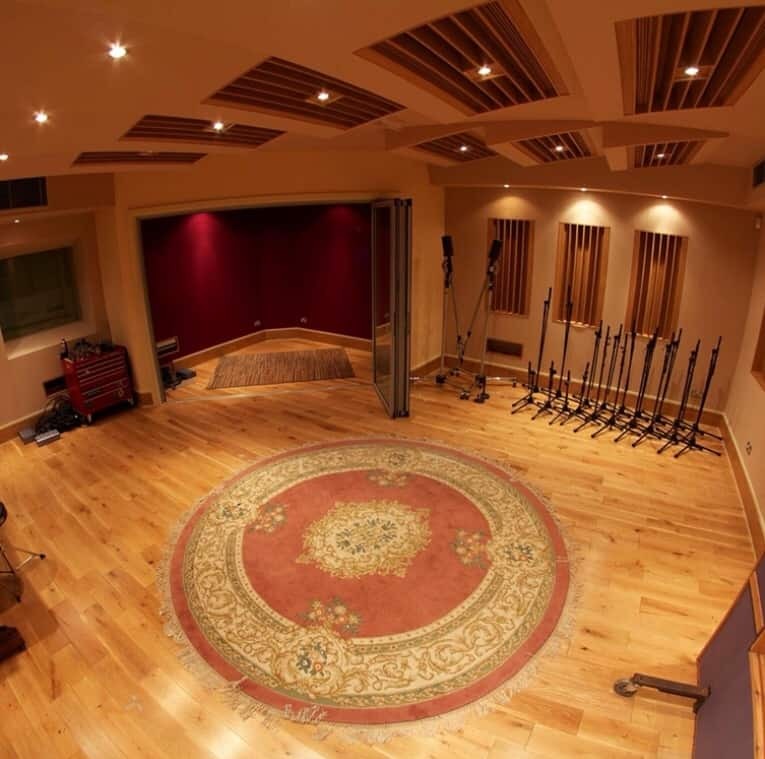 The live room features a large vocal/instrument booth and a open studio space. 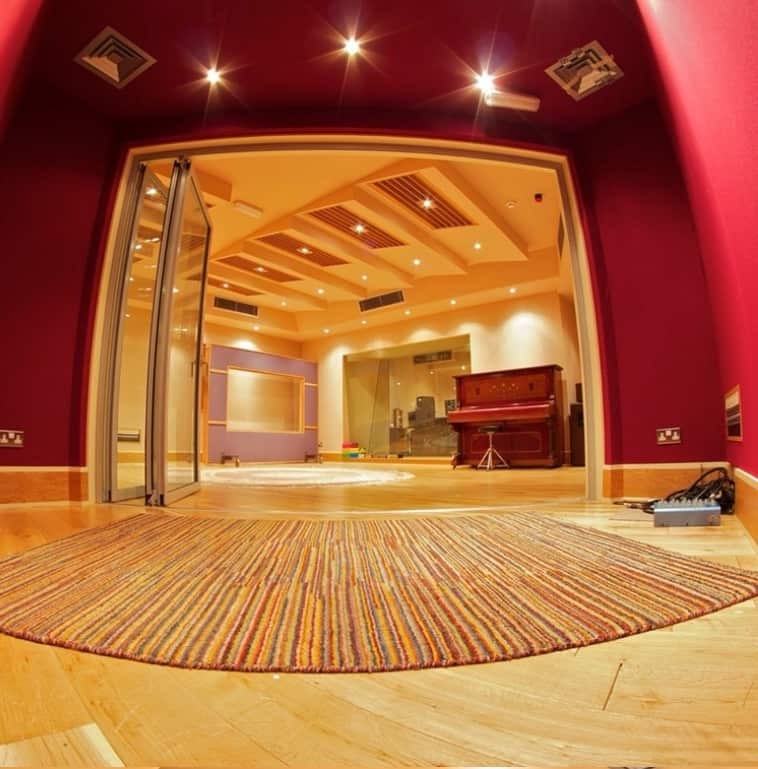 We’ve recorded everything from rock bands to choirs to brass bands in here! Our control room setup centres around our incredible SSL AWS 900+ Console, with a selection of the world class modern and vintage outboard pre-amps, EQ’s and dynamics available from the likes of Neve, Cranesong, Universal Audio and Chandler. Monitoring comes in the form of Exigy Type 515’s, ADAM S3A’s and Yamaha NS-10Ms. Blast Studio can be hired with one of our experienced engineers or producers or as a 'dry-hire' to professional sound engineers and producers for their projects. Love analogue? Work digital? Offering a unique combination of a compact world-class analogue mixing console and a comprehensive DAW controller, SSL’s AWS 900+ provides everything you need to record, edit and mix professional audio. The original AWS 900 established a new category in modern console design. Every inch a 'real SSL', it scooped the 2005 TEC Award in the Large Format Console category – despite measuring just 56'' across! Installed in more than 150 of the most prestigious project studios in the world, this unique console has already notched up an impressive catalog of credits from the Rolling Stones’ ‘A Bigger Bang’ to Alicia Keys’ ‘Unplugged’ and Barbra Streisand’s ‘Guilty Pleasures’. Now the new AWS 900+ builds on the successful formula by adding even tighter integration and better control over major DAW platforms, enhanced displays and meters, and a sleek ‘platinum’ styling. Superanalogue Mic Pres and signal processing, comprehensive monitoriing and superb workflow-orientated ergonomics make working on the AWS 900+ fast, simple and inspiring. Solid State Logic mixing systems are the de facto standard in audio production, valued for their unrivalled audio quality and control ergonomics. 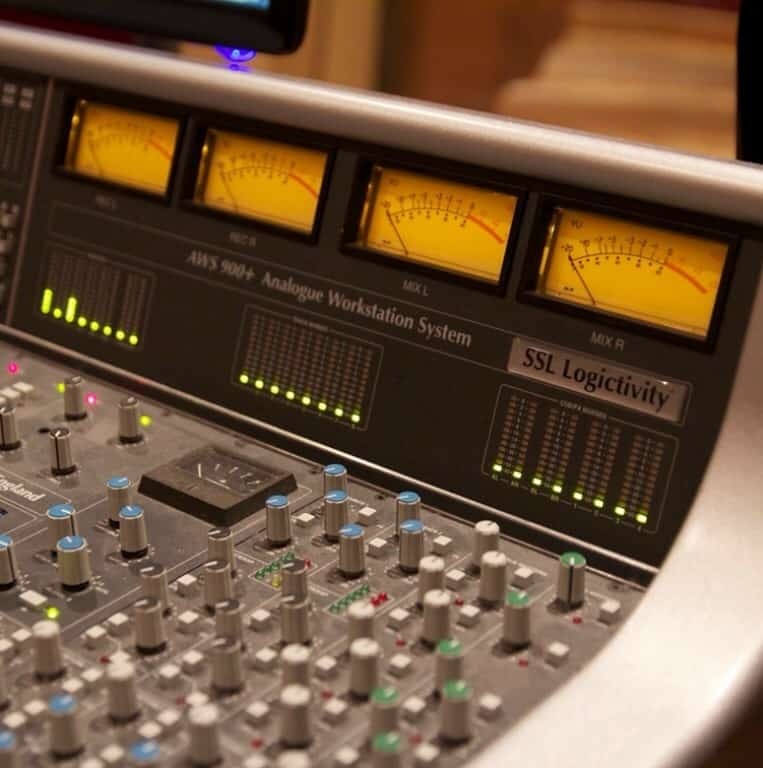 SSL was the first company to integrate automation and machine control into the mixing console, and it pioneered surround mixing. The AWS 900+ delivers the same powerful integration benefits to DAW users, who face similar challenges with an array of equipment (Mic Amps, Effects, Controllers etc.) to produce professional results from a modern DAW. There are so many things that go into making a decent recording, the first thing in the recording chain is usually a mic, if your mics can’t capture the performance then no matter what happens down the line you will always be compromising. So you want to hear it loud? Monitoring is a critical part of the recording process, if you cannot trust what your ears are telling you then we all may as well pack up and go home. We have a number of monitoring options right from the soffit mounted mains in the control room through to the iPod HiFi in the lounge. It is important to us that our recordings translate well onto all formats. The type 515 loudspeaker is the first of a series of monitor systems for use in control rooms where the cabinets will be visible. This bass reflex loudspeaker cabinet uses a 400mm (16′) driver for LF, a 75mm soft dome for MF and a 25mm soft dome for HF. It is designed for critical monitoring in small to medium sized control rooms where the mix position is not more than 4m from the monitors where it will provide accurate low distortion monitoring of all SPL’s up to 122dB peak per pair with music material, at 4m, in half space. The cabinets are fully active and digitally controlled by a BSS 24bit 96kHz processor providing excellent performance with comprehensive room matching facilities and driver protection systems. The system may be driven with a stereo digital input. The amplifiers are by Chevin Research, type Q6. This is a 4 channel high performance amplifier and is used to power all current Exigy systems. It uses high frequency power supplies that provide excellent continuous output capability in a small lightweight package. Each channel gives 350W RMS into 8 ohms and 600W into 4 ohms. Two channels may be bridged to provide 1200W into 8 ohms. The amplifier boasts excellent distortion, noise and CMRR figures, comprehensive protection systems and has a fantastic reliability record in many years of studio use. Exceptionally tight and punchy low end without compromising midrange performance, for demanding recording engineers who need to monitor deep bass in mid sized control rooms. The Adam S3A is the choice for demanding recording engineers who need to monitor deep bass in mid sized control rooms. One woofer acts as a full-range driver with the second woofer joining it only below 150Hz. This unusual approach effectively doubles the area and power of the woofer when it needs to respond to deeper frequencies, resulting in an exceptionally tight and punchy low end without compromising midrange performance. The S3A has three 150W amplifiers that deliver outstanding dynamic performance. It can be used either horizontally or vertically, so that very flexible positioning within the studio is possible. You get the same superior resolution above 2 kHz from these monitors that sets all Adam loud speakers apart from their competitors and by applying moderate equalization to the low end nearly an additional octave in bass response is achieved compared with a passive system. The S-3A woofers and tweeter are each powered by separate 150W RMS amplifiers and are actively crossed over at 150Hz/1.8 kHz. The system's frequency-response has highs extending all the way to 35 kHz and lows down to 32 Hz (±3 dB). Tweeter gain can be adjusted 4 dB up or down with a pot on the panel. Also found on the panel of the S3-A are contour controls (+/- 6 dB) for high- and low-shelf filters at 6 kHz and 150 Hz, respectively. The balanced analog input is on a balanced XLR connector. Classy synths, guitars, drum machines and amps. Vox AC15 combo Handwired 50th Anniversary Ed. Marshall JMP1C 1970s Combo 50th Anniversary Ed.